“Sustained operation at scale – we’re doing a lot of interesting things right now across many agencies … but we need to make those operate at scale, and sustained scale, across the agencies. Those disciplines and robust practices are not just for a small point in time or a small project, they’re the way that we get change done as we go forward,” Kent said at an event hosted by the National Academy of Public Administration on Wednesday. The list of successes under the PMA is indeed long – the ongoing effort to establish the GEAR Center, the upcoming Federal Data Strategy, the first Centers of Excellence, and the launch of the Federal Cyber Reskilling Academy were all touted as successes by Kent, Office of Management and Budget Deputy Director Margaret Weichert, and General Services Administration Administrator Emily Murphy. But looking forward, the goal is to make those successes the new norm, they said. “When I look out in five years, broad-scale use of automated technology should be something that is standard and common at all agencies, not an experiment,” said Kent. Weichert emphasized the role of agency IT working capital funds under the Modernizing Government Technology (MGT) Act across the government as a project that needs to scale up more widely. “The Technology Modernization Fund is a spark, it’s a catalyst, but the real scalability has to be agency by agency and how they use their own money, and that’s a flywheel potentially if it works right,” Weichert told reporters after the event. She noted that the acquisition community needs a similar type of funding mechanism to self-fund innovation. Murphy echoed a similar sentiment on the topic of shared services. 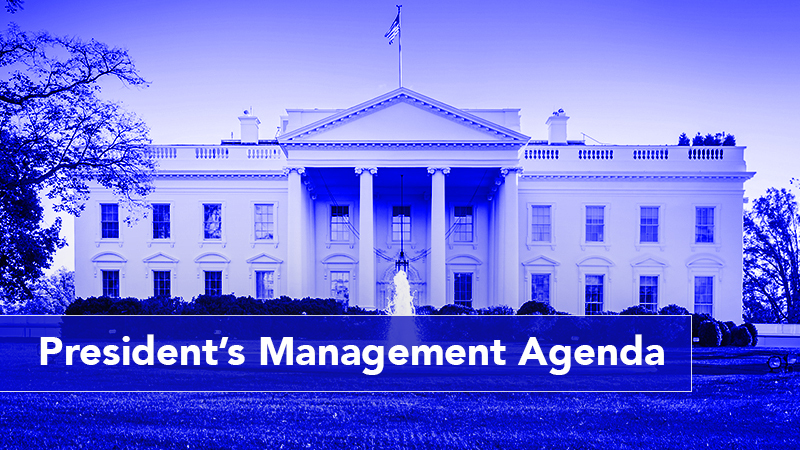 In the effort to modernize government, the PMA served as a strong push from the White House, but the onus of modernization is shifting away from a top-down approach. “I think the PMA has let us move down that path, and now as we move into the years forward, it’s incumbent that we make that standard process, standard procedure, and the way that we drive things forward,” said Kent.